Collect all orders and reach 450000 points to complete the level. This level have normal difficulty and you need to complete few orders. From start you should try to make special candies without worrying of blockers and chocolate. As you get any special candy try to make combo to complete order as soon as possible. 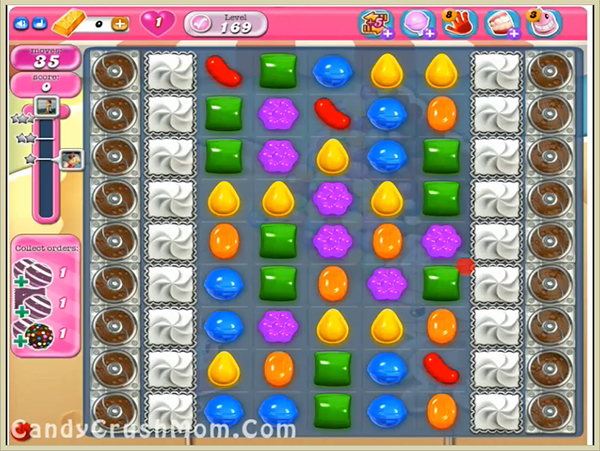 You could easily get three star score for this level as you will have lot of special candies. We completed this level with 82300 score using special combos and candies plus got three star score at the end of the level.